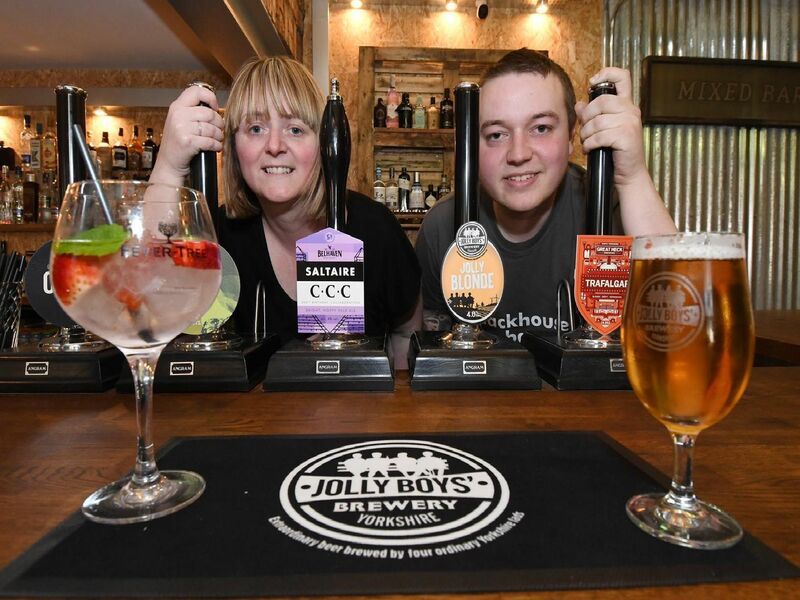 Nestled away along an alleyway off Promenade, in a former bakery, the bar will have five cask ales and 10 kegs lines which are unlikely to be available anywhere else in the town. There are also several bottled beers and ciders and a range of 60 gins. The new bar follows the success of the first Stackhouse premises in Hornsea and specialises in real ales and craft beers. It is designed to be a little different from Bridlington's existing pubs and does not offer mainstream beers. Owners Lucy Farrington and Matt Davis. The owners viewed a number of properties in Bridlington before settling on this building off Promenade.